The costs of renting a roll off dumpster for your construction will also depend on the size of the dumpster, which can be 5 to 20 yards . 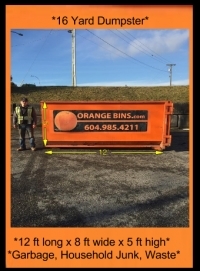 construction bin rental service to dump debris. Waste disposal services cater to both, residential and non-residential spaces such as construction sites.